17 inch netbook? A 17 incher in a wooden case that only costs just under EUR 500? Something is wrong here. The wooden texture is actually plastic and AMD's E-450 netbook processor is inside. 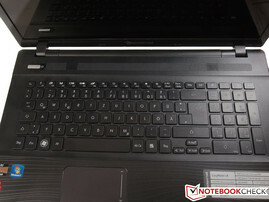 In January we reviewed Packard Bell's 17 inch EasyNote LS11HR, equipped with a solid midrange Intel i5 processor. In February, the EasyNote F4312 reached our editorial office. It also featured a 17 inch screen, but was equipped with a slightly less capable Intel Core i3. 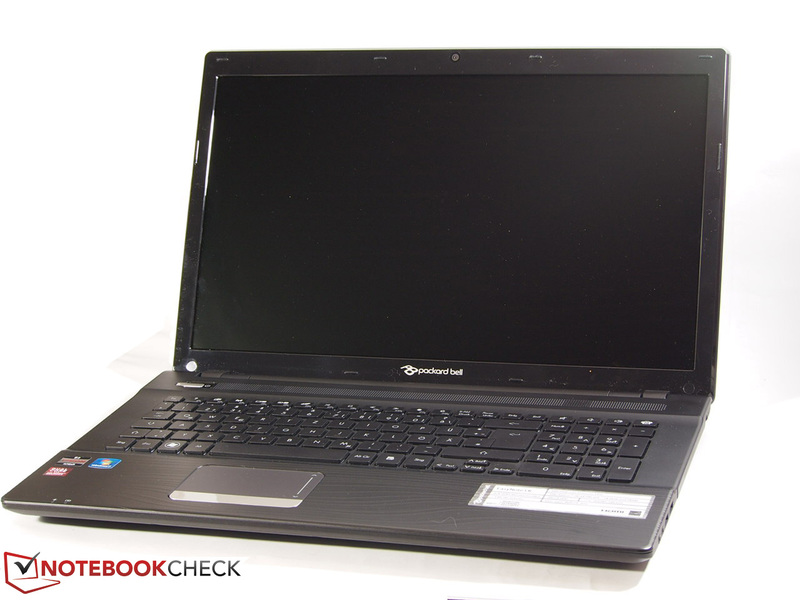 However, Packard Bell's 17 inch EasyNote LK11BZ-152GE now comes with a relatively sluggish AMD E-450 processor. Until now, this CPU was mainly used in netbooks due to its low power consumption (18 watt TDP). Indeed, that's essentially what this EasyNote is: a high-end netbook with a 17" screen. Nevertheless, the EasyNote is equipped with a generous 6 GB RAM and an AMD Radeon HD 6470M with 1 GB dedicated VRAM. 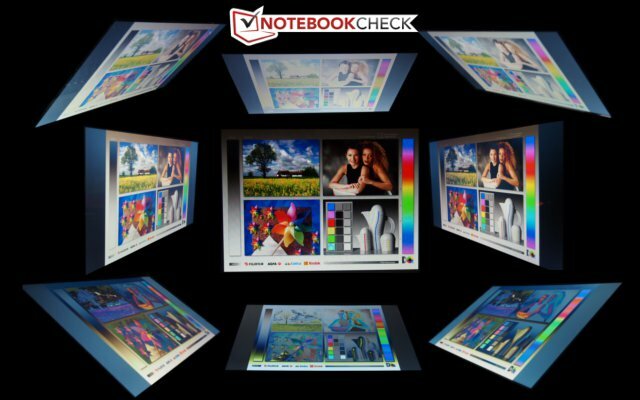 The large 17 inch screen has a maximum resolution of 1600 x 900 pixels and like all EasyNote displays it's glossy. More on that later. 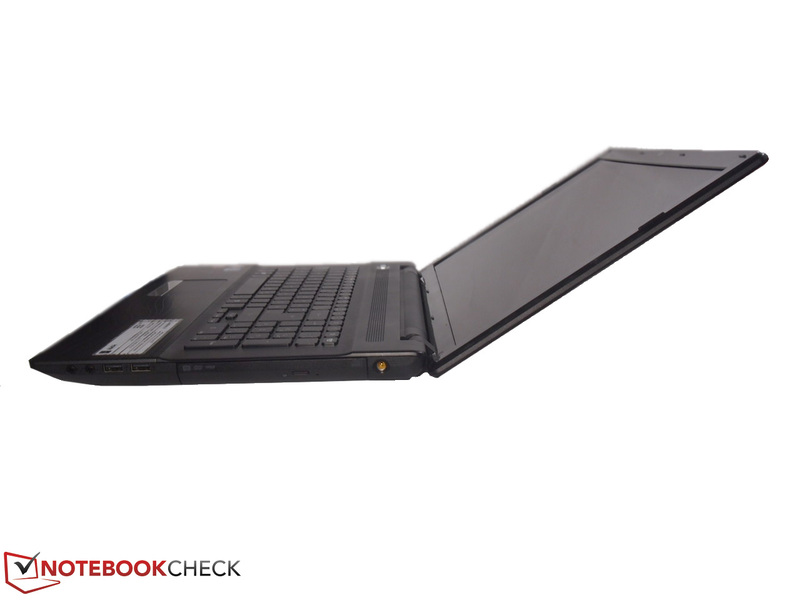 In addition to the rest of the EasyNote family, we'd like to compare this machine with other current low budget range notebooks such as Samsung's Series 3 305E7A-S03DE. This notebook also features a 17 inch screen and costs only EUR 50 more but sports AMD's much faster A6-3420M as well as a dedicated graphics card. Another entry-level model is Asus' X54HR-SO060V that only has a 15 inch screen, but sports an Intel Core i3-2350M. 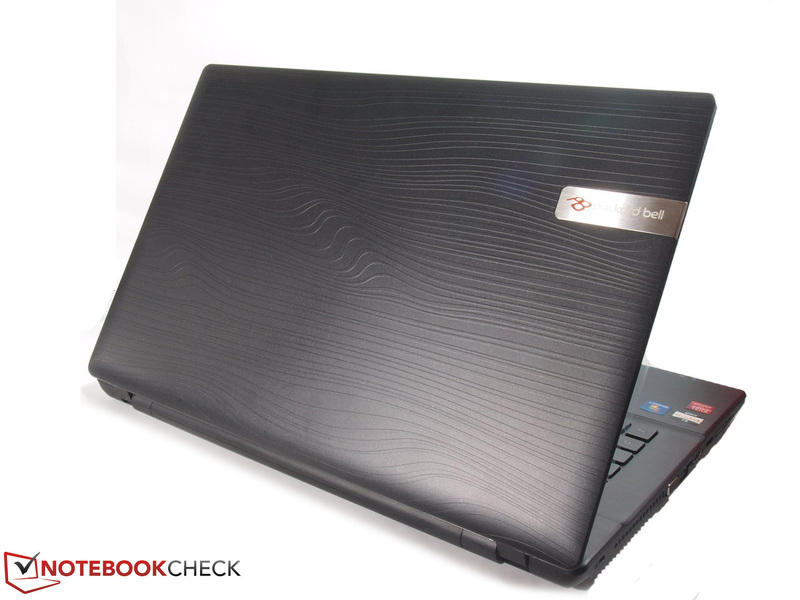 The Asus notebook is also available for under EUR 500 ($620). The EasyNote appears at first glance to sport a wooden case, but a quick touch will reveal that it's actually the usual matte plastic. Thus wood is and will remain to be a precious material for cases - there are only few "wooden" notebooks, e.g. the Asus U53JC-XX127V. Apart from the glossy display bezel and the rough bottom, the EasyNote is all-over matte and features a woodgrain finish. The 17 inch screen is held by two hinges that seem a bit on the small side: the screen wobbles with even a little bump. The lid does not make a particularly solid impression when it is closed and yields quite easily under pressure. Therefore, you shouldn't place anything on the notebook. Not so the bottom: the rough plastic does not respond to pressure and protects the vital innards well. The workmanship is quite good for the EUR 500 ($620) price range. No flaws are apparent in the case, components fit well, all corners are rounded and gaps are quite evenly spaced. Connectivity lives up to the EasyNote name - only the most basic options are available. USB 3.0, Bluetooth, eSATA and ExpressCard are notably absent. On the left, you will find the Kensington lock, VGA and HDMI for external monitors, ethernet port, one USB 2.0 port and an SD card reader. Besides the power socket and DVD burner, there are two more USB 2.0 ports and both audio sockets for headphone and microphone on the right. Additionally, the standard 1.3 megapixel webcam is built into the lid. Its activity is neither indicated by software, e.g. notification icon, nor via status LED. Thus, programs using webcam functions, such as Skype, should always be configured carefully to prevent nasty surprises. There are no interfaces on the notebook's front or rear. This is obviously a spartan machine, but given the price and screen size, we really can't ask for more. The only included gear are the 44 Wh battery and a power adapter. The printed user's manual can also be opened as PDF via the F1 key. This will at most please inexperienced notebook users. The extra key assignment is quite superfluous for everyone else. The installed software is more generous. While many notebooks only include useless bloatware (some of which is present on the EasyNote as well) Packard Bell also includes the full version of Adobe Photoshop Elements 9. Elements is currently on version 10, but 9 is still more than adequate for most home photo projects, editing, etc - certainly a step up from Picasa. 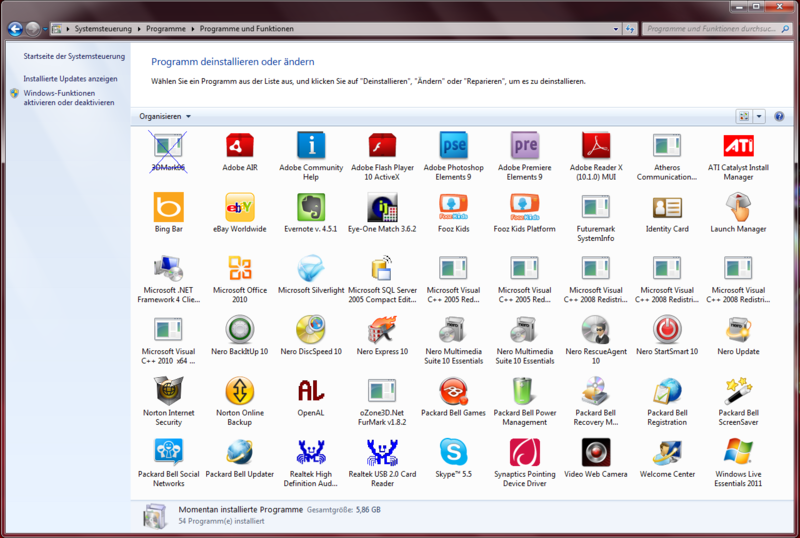 You also get the disc burning software Nero Suite and Microsoft Office Starter. The latter provides solid word processing and spreadsheet functionality, but includes adware for the full version. If you'd prefer a free alternative (legally) we'd encourage you to consider LibreOffice. The only communication options available are the compulsory WLAN that supports all current 802.11 b/g/n standards and the 100 MBit LAN port. A UMTS module is out of the question at this price range - excluding a few netbooks. Bluetooth is also unfortunately absent, so if you need it you'll need to get a USB adapter. A cover held by two screws can be removed on the bottom to access the hard disk, RAM and wifi module. The cover's latch system is fitted quite tight and would stay closed even without screws. To clean other components such as the fan, you'll have to disassemble the entire case. 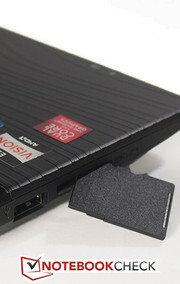 As is common for almost all notebooks, the battery can be removed quite easily via two sliders. Packard Bell offers a 12 month mail-in or carry-in warranty on its EasyNotes. That means the device either has to be sent in or brought to an authorized dealer for repair. It is the minimum warranty that manufacturers give their notebooks – but it is quite customary for this price range. Only a few manufacturers offer a 24 month warranty or pick-up & return service. 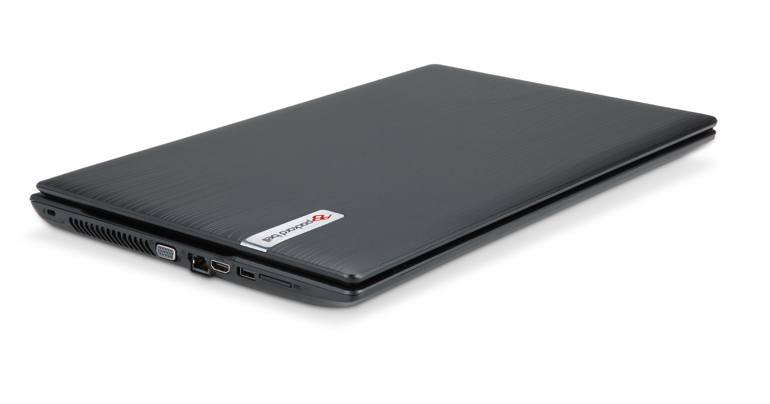 Packard Bell also offers a 3-year warranty extension for EUR 69 ($86) that also covers hardware damage. The EasyNote LK11 uses a promising chiclet-style keyboard. Keys are 15 x 15 millimeters and have a gap of approx. 4 millimeters. The board is pleasant to use and responds well - fine for extended use. Notably, a few keys lack gaps and may throw off new users, but you'll quickly get used to them. The Fn keys feature some typical EasyNote characteristics: Hotkey functions are not triggered via FN combos, but directly with the F1 to F12 keys (this can be changed in BIOS). 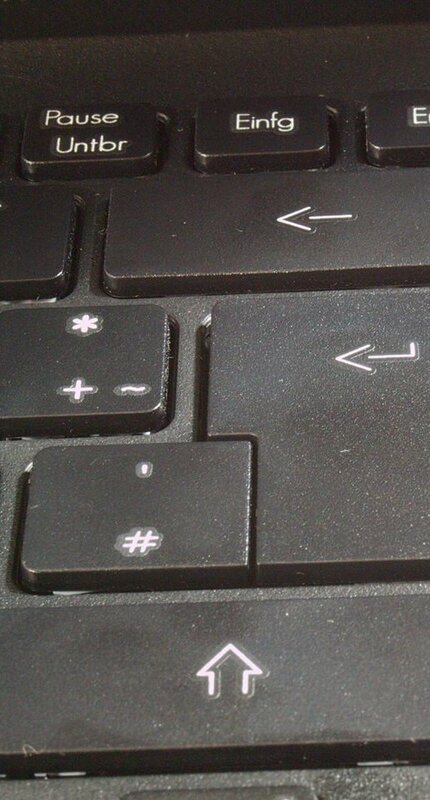 The hotkey functions are useful: volume control has a dedicated key, and not every notebook features a multimedia control for audio or video players. Standard functions such as screen switching, brightness control and wifi activation are also available. 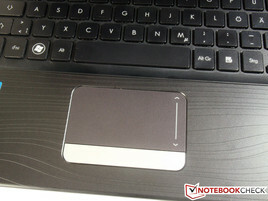 The 88 x 60 millimeter touchpad is not much bigger than what you'd find in an average 15 inch notebook. It is clearly delimited from the wrist rest with a matte surface and a slight depression. The finger glides over it comfortably. The mark at the right indicates a scroll bar, but two-finger scrolling works on the pad's other areas. Other common multi-touch gestures like pinch-zoom for enlarging or reducing the size of certain applications are also supported. 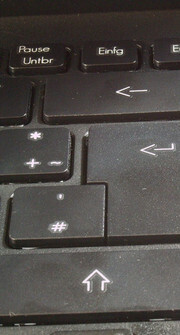 The single bar below the cursor control provides the mouse keys at both ends. The difference is very evident due to the glossy. Clicking is comfortable and provides good audio and tactile feedback. The entire touchpad can be disabled by simply pressing F6 to prevent unintentional inputs when using a USB mouse. Really good screens are hard to find in notebooks for less than EUR 1000 and aren't horribly common even in that price range. 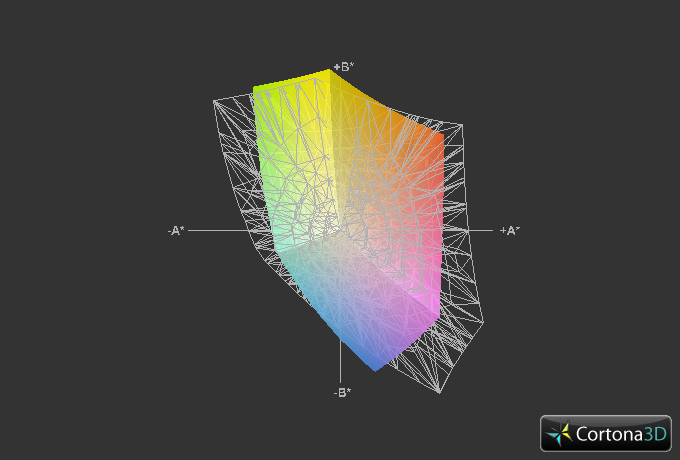 So, what can you expect from a glossy 17 inch screen in a EUR 500 machine? Full HD would have been nice, but this price range it's not expected. At least the screen is HD ready with a resolution of 1600 x 900 pixels. 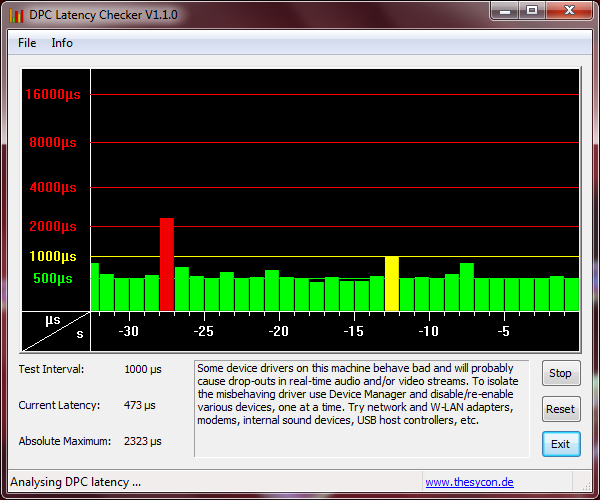 The screen in the more powerful EasyNote LS11HR 167GE was not impressive, and this one is no improvement. The average brightness is a disappointing 190 cd/m2. Between the poor brightness and glossy screen, outdoors use will be mostly impossible. Although the black value of 0.95 cd/m2 is below the 1.0 cd/m2 limit (the lower the better), it's still mediocre at best - just like the 212:1 contrast ratio. For reference, 400:1 is considered a good ratio for a laptop. The image remains fairly stable horizontally, which makes it a decent mobile movie player. Unfortunately the vertical viewing angle is characteristically narrow, with colors fading and inverting at around 15-20 degrees offset. If you'd like a screen you can use outdoors, look for something with a brightness of at least 200 - 250 cd/m2 and a matte finish. 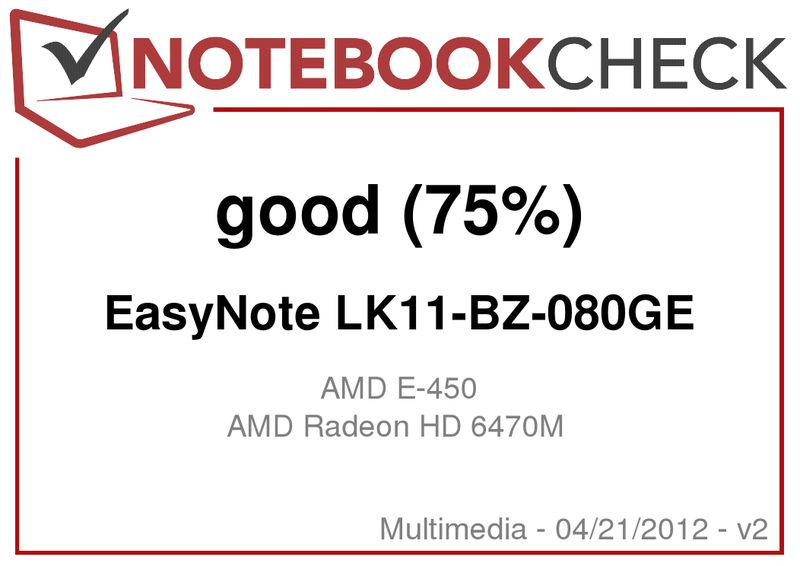 The EasyNote's bargain bin price of EUR 500 ($620) is largely due to AMD's E-450 entry-level APU. The AMD E series chips are quite energy-efficient with a TDP of only 18 watts and are thus mainly used in netbooks, nettops and now also in low-end office devices. 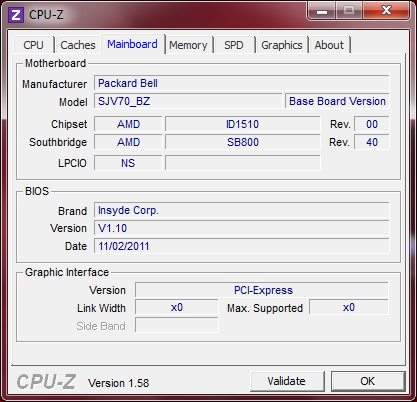 Processors that are usually installed in 15 and 17 inchers, e.g. Intel's Core series and AMD's A series, usually have a TDP of 35 watts. AMD's E series usually competes in the netbook space with Intel's Atom chips, where it does very well. Generally speaking, the E-450's CPU is slightly faster than Atom, and its integrated GPU is far superior to Atom's - as well as being a capable home theater chip for HD video and Blu-Ray playback. Oddly, Packard Bell equips the EasyNote with a dedicated Radeon HD 6370M. This is certainly an improvement over the integrated Radeon HD 6320 GPU, but it doesn't really expand the E-450's capabilities. It'll never be a gaming machine thanks to the weak CPU, and the E-450's onboard GPU can already handle multimedia tasks with aplomb. 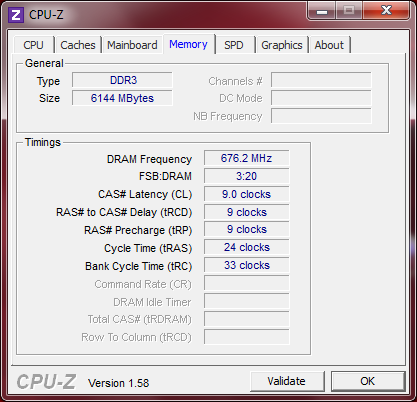 The E-450 sports two CPU cores with a base clock of 1.65 GHz and an idle clock of 825 mhz. 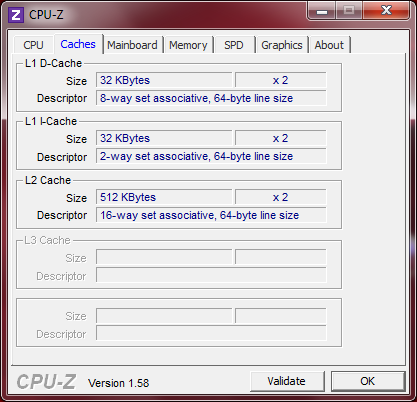 There is no automatic CPU overclock feature, but the GPU is capable of a modest automatic overclock now. 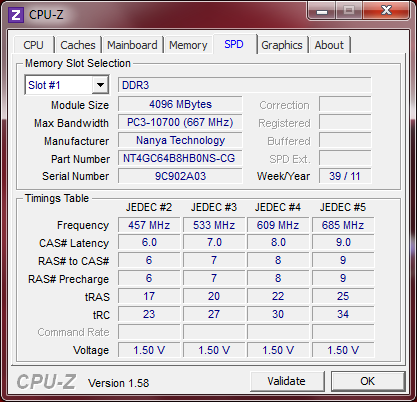 The E-450 is functionally identical to the last-gen E-350 save the extra 50 mhz clock speed, automatic overclocking of the GPU, and support for DDR3-1333 (vs DDR3-1066 on the E-350). The EasyNote comes with 6GB DDR3 memory in a 4 + 2 configuration. Western Digital supplies the 500 GB hard drive. The E-450 performs about as you'd expect under Cinebench 10 and R11.5 - which is to say, abysmal. Other notebook processors from the same price range achieve far better results. Samsung's 17 inch Series 3 305E7A-S03DE equipped with AMD's quad core A6-3420M, for example, costs around EUR 550 and achieved benchmarks scores that were at least twice as high - proof that a budget 17 inch notebook does not need a netbook CPU. Another example of an inexpensive yet powerful device is Asus' X54HR-SO060V with Intel's Core i3-2350M. The notebook only costs EUR 480 - even cheaper than our EasyNote. It only has a 15.6 inch screen, but the 2350M's Cinebench scores beat the AMD E-450 many times over. The EasyNote LK11 is faster than Atom-based machines, but that's it. 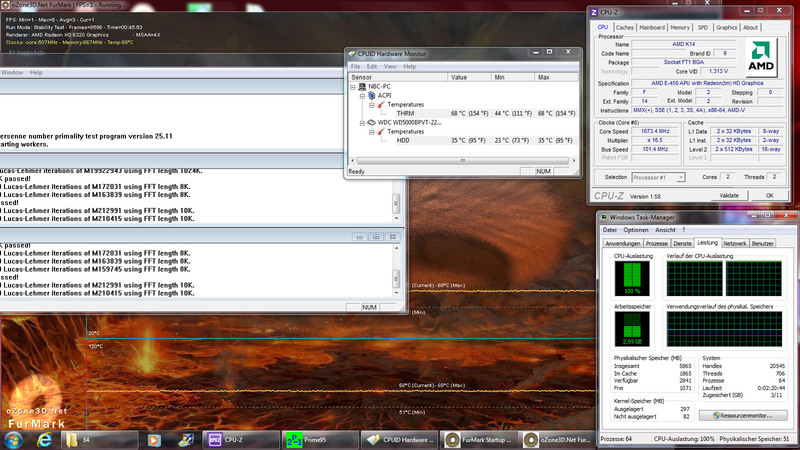 Even old Core 2 Duo processors are faster. What does this mean for you? It means that multitasking is going to be sluggish at best, that apps like the included Photoshop Elements 9 will be slow and unresponsive if you do anything moderately demanding with them (like processing very large images of the kind taken by modern prosumer cameras). It means that batch processing jobs, video encoding and file extraction will all take twice or more as long as other machines in the same price range. It means that trying to do other work while watching a movie (especially an HD movie) on a second screen will leave you with almost no performance to spare. On the other hand, if you're just looking for a basic internet/email/office machine and you're not a big multitasker, you'll find the E-450 comfortable if not snappy, and thankfully easy on the battery (although with a 44 Whr battery and a 17 inch screen we're not expecting great battery life). And yes, it'll play your HD movies nicely as long as you aren't doing much in the background. The system performance story is the same as the CPU story - whatever the EasyNote's strengths are, performance isn't one of them. The previously mentioned Samsung Series 3 managed double the EasyNote's score in both PCMark Vantage and PCMark 7, and the Asus X54HR again surpasses the EasyNote by miles. We have to say that although the benchmark comparisons may seem drastic, but the reality is that basic multimedia and office apps run fine as long as you aren't multitasking or doing anything heavy-duty. We also have no idea why Packard Bell chose to equip a budget 17" machine with 6 GB of memory because frankly, if you actually have a use for that much memory, you'll have no use at all for the sluggish E-450. The Western Digital WD5000BPVT-22HXZT3 hard disk installed in the EasyNote LK11 is also found in other notebooks like the aforementioned F4312-HR-075GE and LS11HR-167GE. With 500 GB capacity, an 8 MB cache, 5400 rpm spindle speed, 19.2 ms access time, and 69 MB/s average transfer rate, this drive is about what we'd expect: high capacity, mediocre but acceptable performance. The Radeon HD 6320 is integrated in AMD's E-450, but the EasyNote also sports a dedicated Radeon HD 6470M with its own 1024 MB VRAM. Here, we will also make comparisons with the graphics chips of our other notebooks in the same price range. In addition to the following gaming tests, we look at various 3DMark benchmarks. While AMD's Radeon HD 6540G2 in Asus' notebook lags far behind our HD 6470 in 3DMark 11, its GPU score of 525 points can keep up with the Radeon HD 7470M in Asus' X54HR and even surpasses it slightly. The reason for this is likely the reduced memory clock in Samsung's notebook among other things. 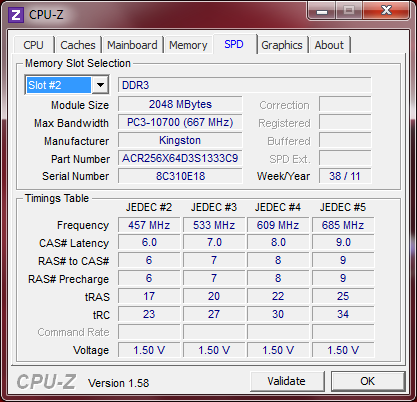 It's also worth noting that the HD 7470M is simply a rebadged HD 6490. On the other hand, Samsung's 305E7A-S03DE features a dedicated AMD Radeon HD 6540G2 that is set up in a crossfire array with AMD's HD 6520G integrated in the A6 processor. This graphics bundle is unrivaled in this price range with twice the 3DMark 11 score of the competition. The EasyNote may be packing discrete graphics on top of a relatively capable GPU in the E-450, but make no mistake: this is not a gaming machine by any stretch of the imagination. Nevertheless, we attempted two random tests using Starcraft 2 and Deus Ex Human Revolution. Being a somewhat older game that does not consistently demand high-end performance, Starcraft 2 is a good indicator of baseline performance in modern titles. The game runs with an average of 32 frames per second (fps) at minimum detail settings and a resolution of 1024 x 768 - playable, but not pretty. Single player is probably alright, but we can't recommend multiplayer as large battles will bring the machine to its knees. The story shooter Deus Ex Human Revolution can be played with either DirectX 9 or 11. Although AMD's Radeon graphics supports DirectX11, it's a marketing feature only - the E-450 simply doesn't have the horsepower to make DX11 a realistic option. In fact, even in DX9 mode with minimum detail settings, the Easynote only manages 25 fps - acceptable for a strategy game, but not for a demanding first-person shooter. This should come as no surprise: as we said, this is not a gaming machine. Notebooks of this size usually sport a processor with a 35 watt thermal envelope (TDP). Being a netbook chip, AMD's E-450 features a low 18 watt TDP. The fan has an unfortunate tendency to run more or less constantly, but at between 32 and 36 decibels, at least it's quiet. And, subjectively, the noise is just a hum rather than an annoying whine. No sweat - the EasyNote does not get warm even under load. The unbroken blue visualization of measured temperatures in the lab shows the upside of using a netbook-class processor in a full-size laptop. The small APU does not even let the big case get lukewarm in the stress test. The CPU's temperature sensor records a chill max temp of 68°C. The wrist rest area and keyboard stay pleasantly cool and only isolated warm areas are noticed on the bottom. A maximum of 34°C was measured in the lab, and the device only reached an average temperature of 27°C at a room temperature of 18°C. (+) The average temperature for the upper side under maximal load is 27.4 °C / 81 F, compared to the average of 30.9 °C / 88 F for the devices in the class Multimedia. (+) The maximum temperature on the upper side is 32.7 °C / 91 F, compared to the average of 36.5 °C / 98 F, ranging from 21.1 to 71 °C for the class Multimedia. (+) In idle usage, the average temperature for the upper side is 24.5 °C / 76 F, compared to the device average of 30.9 °C / 88 F.
The EasyNote may not be fast, but at least it has decent audio. The onboard speakers, while small, deliver relatively satisfying sound for a single user. They don't fill the room, but they aren't painfully tinny and the maximum volume is fine for personal use. The notebook's minimum power consumption of 10 to 15 watts is quite low for a 17 inch machine, but the AMD A6 in Samsung's Series 3 will likely be just as energy-efficient in idle since the E-series and A-series share a lot of the same power management tech. 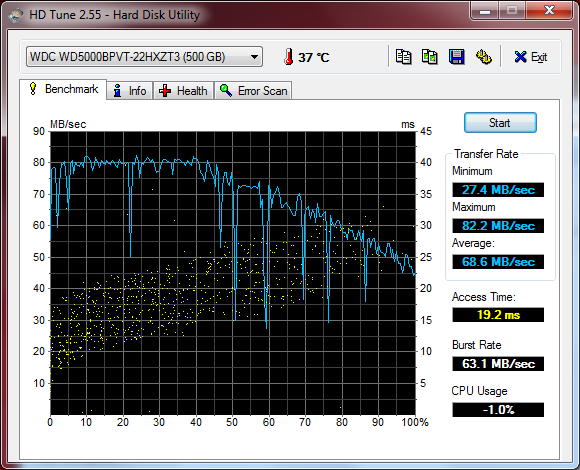 Of course, the EasyNote will consume less under load since the E-450 has half the A6's TDP to work with. The EasyNote consumes a maximum of 40 watts during load, so the supplied 65W AC adapter is plenty. Battery life was tested with BatteryEater as usual. In the Reader's test with minimum brightness, disabled wifi module and energy savings mode, the 48 Whr lithium ion battery could be used for a maximum of 5 hours and 36 minutes. The EasyNote still ran 3 hours and 18 minutes with enabled wifi and a script that periodically opened websites, simulating surfing behavior. The websites have a different volume ranging from a simple text web page up to a maximized HD video. It is possible to watch a DVD in medium brightness for approximately 2 hours and 30 minutes on the EasyNote. Finally, BatteryEater's Classic test puts the notebook under full load. We still achieved 1 hour and 34 minutes in this test. These determined values are close to the direct competitor from Samsung featuring a battery with the same capacity. The unique design is an eye-catcher at first. Many low budget models are easily identified by their lunchbox-quality aesthetics. However, Packard Bell seems to have a sense of style and outfits the EasyNote with a subtle woodgrain-textured plastic case. Although the case's workmanship is flawless, it's definitely on the fragile side. Disappointing, but not unexpected given the price. The 6GB RAM and dedicated graphics chip may seem very generous, but are probably superfluous. 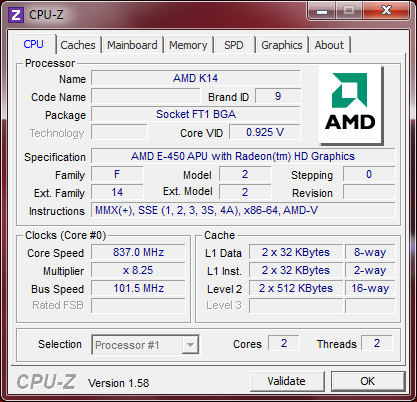 The performance bottleneck is the E-450 CPU, as clearly shown in the benchmarks. All other notebooks in this price range blow the doors off the EasyNote. We think Packard Bell would have done a lot better scrapping the dedicated graphics, cutting back to 4 GB RAM, and putting the money toward a decent AMD A-series processor instead - which would coincidentally improve graphics performance as well. The big 17 incher's connectivity is also netbook-like. Three USB 2.0 ports, a VGA and HDMI port for external monitors and a card reader are the bare minimum. Fast and state-of-the-art USB 3.0 and Bluetooth would have definitely increased the machine's appeal. Other omitted ports, such as eSATA or docking station port, are less important. The EasyNote's poor benchmark scores will be a dealbreaker for performance-sensitive users. However, they shouldn't pose too much of a problem for the basic use crowd (internet/office/multimedia). The EasyNote's big screen and decent speakers make it a reasonable multimedia system, and the battery life is enough to get through a full movie (even in Full HD!) In the end, it's up to you to weigh the importance of good performance vs a large screen and decent speakers and aesthetics. Front and rear do not have interfaces. Only two status LEDs are on the front. as well as the stand thanks to four big rubber feet. The cover is fastened with two screws. The hard disk is screwed to a frame that is screwed to the case. Its capacity is 500 GB and is easy to replace. 6 GB RAM - both banks are occupied. The cover also reveals the wifi module. The data sheet gives information about the hardware. A dummy is inserted in the SD card slot. The notebook features stereo speakers. and has a resolution of 1600 x 900 pixels. that allow the display to teeter. The opening angle is quite wide. The 1.3 megapixel webcam is in the lid. and the # as well as enter key are very close. The lithium ion battery has a capacity of 44 Wh. Stylish looks in a low budget device. Simple but useful things, such as Bluetooth and USB 3.0. A weak netbook APU is used in a 17 inch notebook. Samsung's 17 inch Series 3 305E7A-S03DE for EUR 550, but with more power. Another entry-level model is Asus' X54HR-SO060V, with only a 15 inch screen but an Intel Core i3-2350M. If you like Packard Bell notebooks, but find the performance too weak here, you might take the EasyNote F4312 or EasyNote LS11HR.